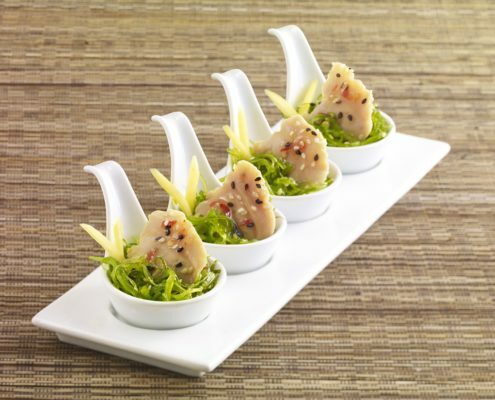 This delicate presentation is an absolute show stopper. It not only looks incredible but also tastes amazing. 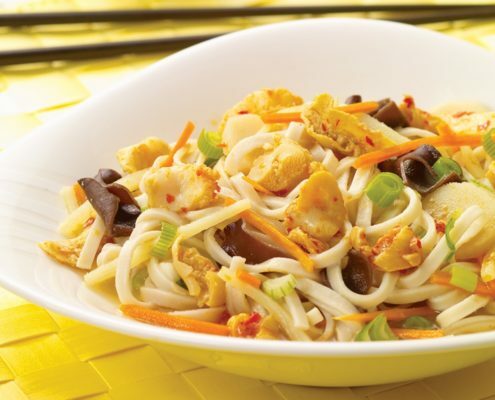 The identity of the whole ocean clam is unmistakable and surprising with its tender texture for the recipe. No matter whether you are North of the boarder or South, this refreshing recipe will make you feel like you are on vacation. 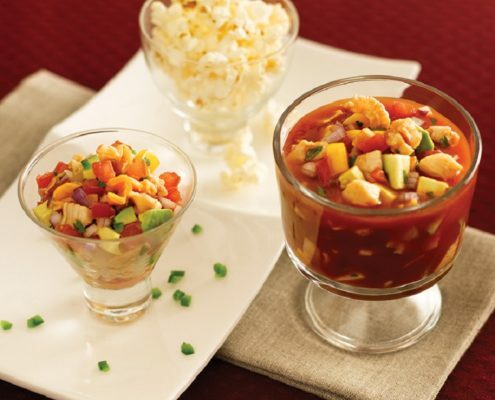 This convertible recipe allows you to serve a classic ceviche or add tomato juice for a traditional Baja Clam Cocktail, Tequila not included. 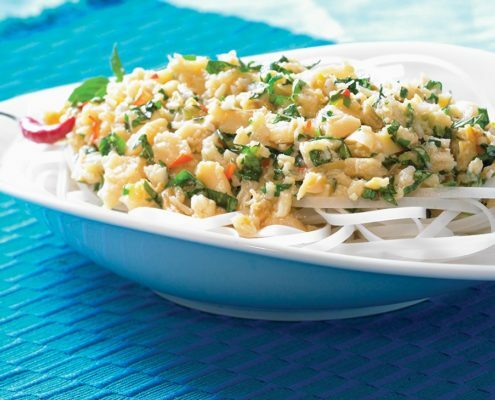 This is a twist on an Italian traditional salad by simply adding Sea Watch tender whole ocean clams. 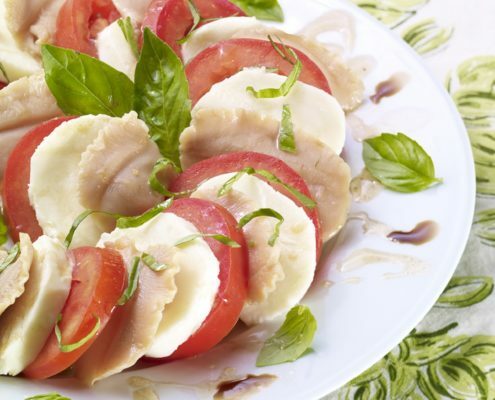 Caprese is the perfect combination of flavors, textures, and freshness: ripe tomatoes, tender clams, fresh mozzarella cheese, basil and the drizzle of balsamic vinegar and olive oil complete this summer favorite. Nothing says summer time in New England like a good old-fashioned clambake. 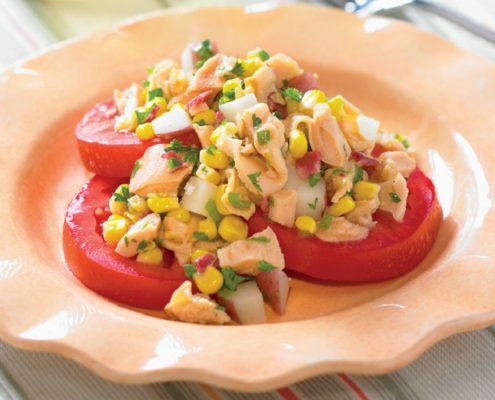 The clambake salad recipe allows you to bring summer inside anytime. 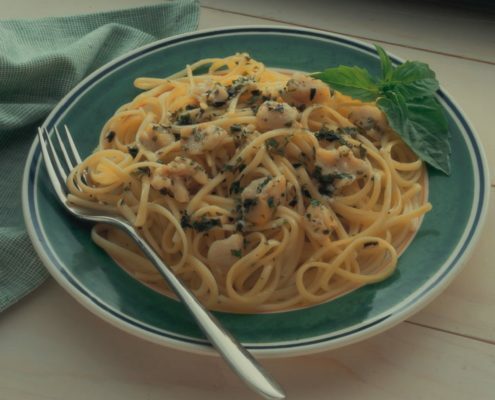 Fresh vegetables and tender sweet sea clams make this recipe an instant hit. Sea Watch Italian Breaded Calamari is a great stand-alone product for appetizers, entrees, on seafood combination platters. 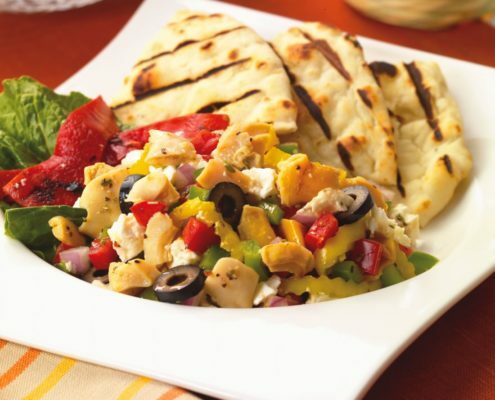 It can also be used to dress up a entrée salad adding both value and flavor. 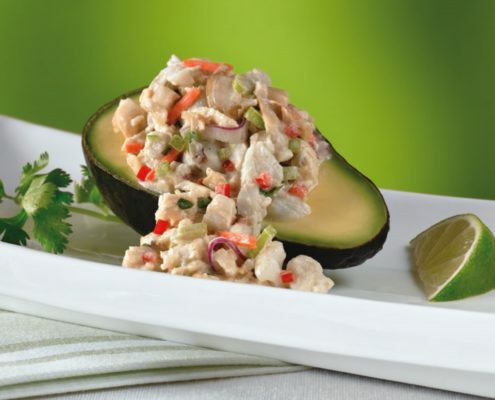 Not only is the clam and crab salad stuffed avocado amazing it is full of natural freshness. You can find many year round recipes which use Sea Watch Chopped Sea Clams, this is a great one when avocados are in season.